China Foreign Teachers Union: China Foreign Teachers Union Brings Santa To Beijing! 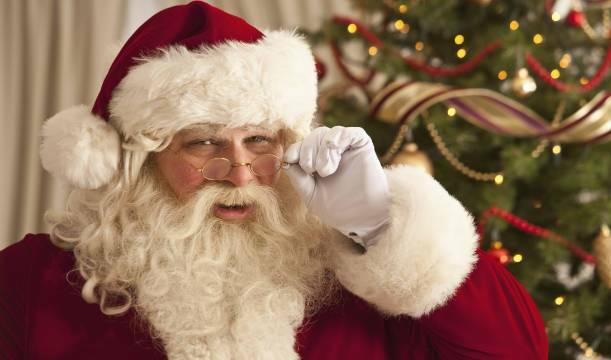 China Foreign Teachers Union Brings Santa To Beijing! Once again we have arranged to bring the real Santa Claus to Beijing and Shanghai this year during the second weekend of December. Venues are now being arranged so be sure to check back here next week for the exact location. Free photos will also be provided to any and all foreign teachers who bring their kids to meet Santa. The jolly old guy who will chat with kids (ages 3-9) for 5 minutes, accept their wish list, and give them some candy as a gift. Also this year, the CFTU will also have Santa make a telephone call to your child asking if they have been naughty or nice and invite him to come meet him in person. If you are a foreign teacher in China and you want your child to receive a call from Santa in either English or Spanish, send an email to SantaProgram[at]ChinaForeignTeachersUnion.org and be sure to include your child's first name, age, and any special message you want Santa to relay, like "Stop being so mean to your sister Michelle" or "Why did you lie to Grandpa about your report card?" This will make true believers out of any kid! Also be sure to include the phone number you want to receive the call which will be made between 7:00pm and 9:30pm between December 1st and December 15th. Christmas in China is never the same, but we hope we can bring a few smiles and good memories into your family with our Santa Program. This year you do not have to be a CFTU member to receive the call. The only requirement is that you are a foreign teacher now teaching in China. (please attach the first page of your resume when you send your Santa request). Last year we had over 150 people falsely claiming to be teachers just to get the call. Remember our people are volunteers and last year they had to make over 300 calls.